UCSC history professor Dana Frank, director of the UCSC Center for Labor Studies, noted the significance of Truong's book and the author's upcoming appearance on campus. "Monique Truong's pathbreaking novel The Book of Salt highlights the invisible labor behind the public work of intellectuals," said Frank. "The novel investigates the private lives of those who cook, clean, and provide emotional support, making possible the creativity and fame of famous writers." "In the United States, these workers are usually women and people of color," she added. "Yet their labors usually disappear from our stories of literary history." Frank noted that Truong's UCSC appearance is also part of the Literature Department's Asian American Literary Series this fall. That series includes an appearance by famed author Maxine Hong Kingston on campus, November 18. "Truong is a pioneering Vietnamese American novelist," said Frank. "In inviting her, we are pleased to be acknowledging the Vietnamese community in the Bay Area, as well as supporting Asian American Studies at UCSC." 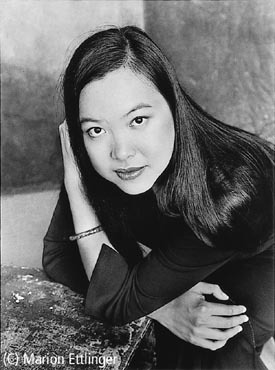 Trong is the author of numerous essays and works of short fiction, and her new book, Bitter in the Mouth, will be published by Random House in 2010. She is also co-editor of the anthology Watermark: Vietnamese American Poetry and Prose, and her essay "Welcome to America" has been featured on National Public Radio. The UCSC Center for Labor Studies is funded by the Miguel Contreras Labor Fund of the University of California Office of the President, and co-sponsored by the UCSC Division of Humanities.